When I got a mind to interior decorate my expedits in purple, I didn’t realize the task that was ahead of me. 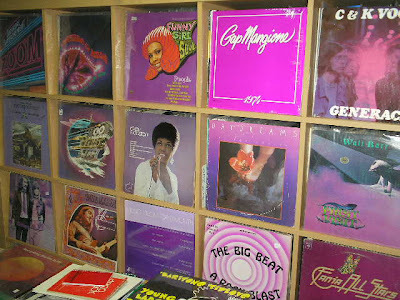 I don’t have many lp’s with purple covers, let alone holy grail-ish lp’s with purple covers! Yellow or red either (those were my next choices when it looked like the purple might not be possible). 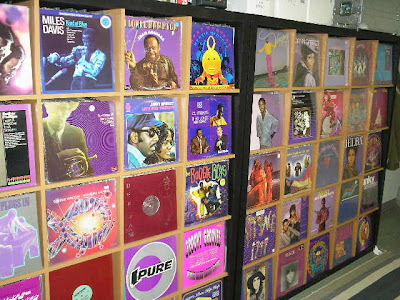 Any other vinyl collectors out there wanna take the challenge? 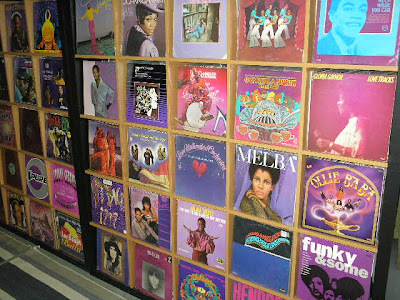 Decorate your shelves with your records, using whatever themes you like (covers all in the same color, covers with faces, covers with beautiful females, joints with food on the cover, whatever you wish) and send me the pics. If I get a few nice ones I’ll put them up in a future post. Don’t be afraid to let your inner record nerd out so that it can run around naked and unashamed. I think I’m gonna try white covers next time. 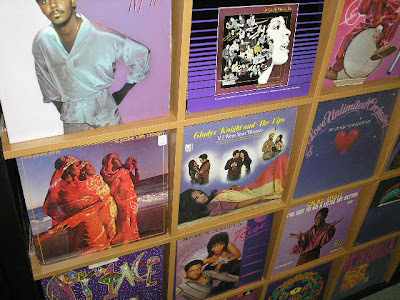 This entry was posted in digging in the crates. Bookmark the permalink. yeah, i’ve had a few of those Sherlock Holmes lps… always got ’em for $1 to $5 too. it’s a philly record, you know. interesting factoid about that album: jazzy jeff’s brother played bass on it. jazzy’s brother that cool as hell. I think this is on a private label or something right? never saw it for less than 100. 1-5 thats a steal. I am kind of anti re-issue but this is one i might never find and such a good LP, might have to cop it.